Think about the greatest athletes of our time. Undoubtedly, they have all had talent and the ambition to achieve greatness, but each has also had someone in their corner to empower, guide and support them along the way: a coach. Everyone has the potential to reach their goals and create an ideal life for themselves. The only problem is that many just don’t know how to get there. 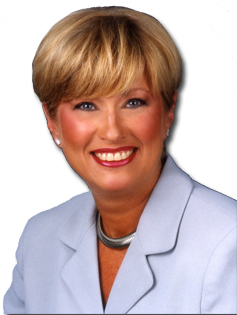 As a certified life coach in Detroit, MI, it is my pleasure to help you discover what you want most out of life. With my 40 years of qualifying experience and your willingness to put in the effort, we’ll work together to identify your goals and any obstacles keeping you from achieving them. Once we have a destination in sight, we will work as partners to design a roadmap for you to meet and exceed your goals. How do you choose the right life coach? Not only is it important to find someone you feel comfortable speaking with, but someone who is experienced with identifying the underlying causes of certain everyday struggles. I proudly hold degrees and certifications in areas of mental health, counseling and psychology, all of which has proven to make a world of difference in my work as a life coach. Keeping in mind that there are no real regulations in the world of life coaching, I encourage you to take your time when choosing a life coach. Be selective and partner with a coach who has training and experience working with those who have struggles similar to your own, such as anxiety, depression, anger management and more. The best way to build confidence in yourself and your ability to see your goals to fruition is to be confident in your life coach’s ability to guide and motivate you along the way. Each of my life coaching sessions is done completely over the phone, allowing me to be very flexible with scheduling for both morning and evening appointments. All it takes is one phone call to get you started on your journey to a happier, healthier life. 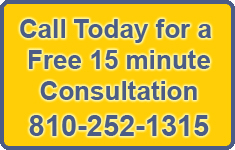 For a free 15-minute consultation, call 810-252-1315 today.